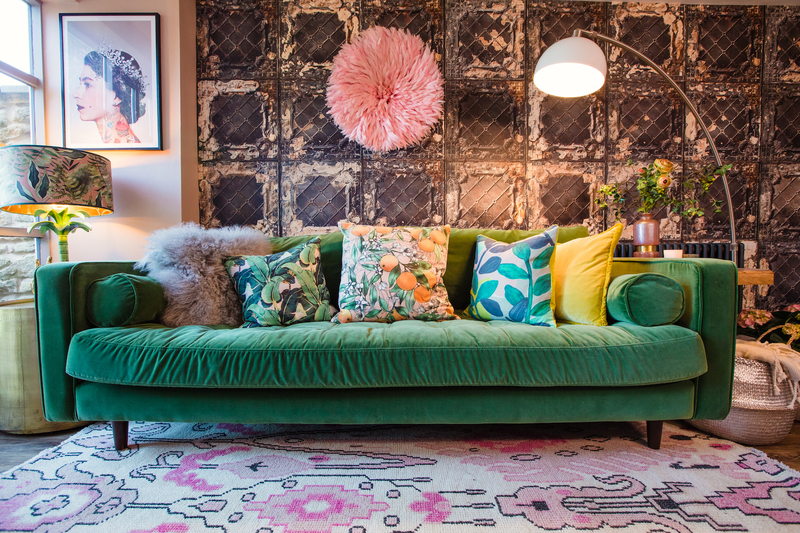 Anna’s Attic – Interior Designer and Stylist based in Lincolnshire. Offering a personal service for all your interior décor and styling needs, be them residential or commercial. Having competed on BBC2’s Great Interior Design Challenge Series 4 I have since worked on both commercial and private interior design projects. Since the show I have also had my home featured in 25 Beautiful Homes magazine. Our recently launched online shop stocks a curated range of homewares, I only stock items that I fall in love with and want to use in my own home. Many items are handcrafted or vintage, some are one offs too. Exclusive UK distribution of works by talented French artist Sandrine Chambery, who’s stunning wall hangings have featured in Marie Claire Maison. Online stockist of Mind the Gap and NLXL wallpapers. Looking for individual styling for your interior, event, photo shoot or retail space? Talk to me, I work closely with my clients to create individual looks, incorporating lots of bespoke and handmade details as well sourcing wonderful items to complement schemes. Think stunning interiors, award winning photo shoot direction, beautiful event décor as well as bespoke furniture items and a sourcing service for those looking for the perfect piece. Service with a smile guaranteed! Going that extra mile to create a truly unique look that everyone will be talking about. Be it interior décor, event styling, creative photo shoot styling or creating the perfect window display for your retail space. Contact us by email anna.straw@hotmail.co.uk or telephone 07900 166956. As a recent contestant on BBC2's Great Interior Design Challenge I am currently taking both residential and commercial interior decorating commissions. Do you have a decorating dilemma? During the many years spent renovating and decorating my own homes I have gained a wealth of knowledge and skill when it comes to pulling an interior scheme together and getting the most out of your space. Currently working on both commercial and residential projects. I create unique pieces of furniture, lighting and other home accessories too. With experience of styling events, photo shoots, retail spaces as well as brand imagery for social media I'd love to hear from you. Anna’s Attic just love to collaborate with other creatives on styled shoots, creating inspiration for others. 2016 saw a simple spring wedding inspiration shoot featured on Belle Bridal Magazine’s site and a stunning boho bridal inspiration shoot featured on the prestigious Rock my Wedding site. Other shoots include a Black Swan White Swan ballet shoot and a competition shoot for Hair by Kirby Blythe amongst others.